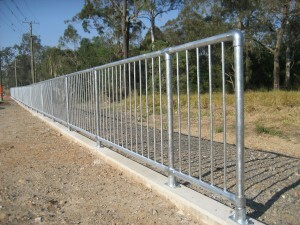 Various types of fencing is available to protect pedestrians from all manner of hazards such as roadways, car parks and steep embarkments. Also used to manage movement around open spaces such as parks and walkways. Feel free to contact us on 1300 940 722 to discuss in more detail.